Oh No! Not Again! 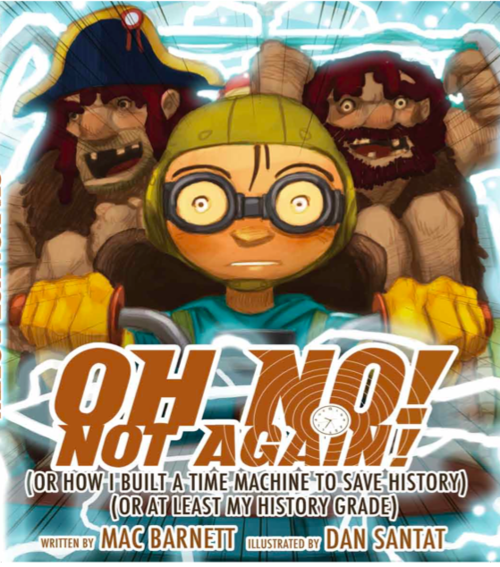 (or How I Built A Time Machine to save History) (or at Least My History Grade) by Mac Barnett. How’s THAT for a mouthful of a title? Honestly, the plot is hardly less confusing. I rather enjoyed this book and my son did too, though I suspect he missed what was really happening in the story. The main character (hardly a heroine) is miffed for having gotten one question wrong on her history test. Rather than just accept it, she uses her genius to build a time machine and change the past to fit her answer. The question was about which country has the earliest known cave paintings. Her wrong answer was “Belgium”. So, with a little trial and error—it is a homemade time machine after all—she finds herself in prehistoric Belgium. Armed with paints and brushes, she proceeds to paint a fantastic cave mural, since the inhabitants of the cave seem disinclined to do it themselves. However, while she is busy drawing robots on the cave wall, the cavemen discover her time machine and proceed to bring all manner of people from all points in history back to the prehistoric era. Needless to say, history becomes a little more changed than she anticipated. One the bright side, she got that one question right on her test! On the other hand, all the rest of her questions were wrong due to her effect on history. Like I said, the finer plot points are lost on my son, but the book is funny and entertaining nevertheless. Well, it’s the day after Thanksgiving. We all know what THAT means: Four weeks of in-your-face Christmas fun! The least I can do is make a meager contribution by sharing some of those good old-fashioned holiday movies. Not that any of these will be a new discovery for you. Nevertheless: Happy Holidays! Let the fun begin! We will start off with the 1988 Bill Murray reinterpretation of the classic Dickens story, “A Christmas Carol”. 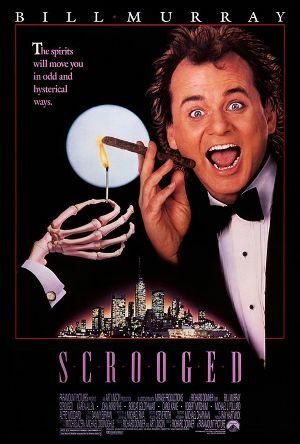 I’m talking about Scrooged. Bill Murray stars as Frank Cross. As befits the tale, he is successful and a terrible human being. As befits Bill Murray, he does it all in the most hilariously awful way. Stapling tiny antlers onto a little mouse? Ha ha! and No. We all know how these stories play out: visits from the ghosts, a vision of what lies ahead if he continues to be a total jerk and then, of course, the possibility for redemption. I wonder which he’ll choose? Watch it this season and marvel at the fact that this is the 25th anniversary of the film. Yup. It’s one quarter of a century old. Classic holiday fun for all! Here’s an oldie but goodie – just in time for Thanksgiving. If you’re from New England, this may be familiar, old-fashioned holiday fare for you. If not, read on. 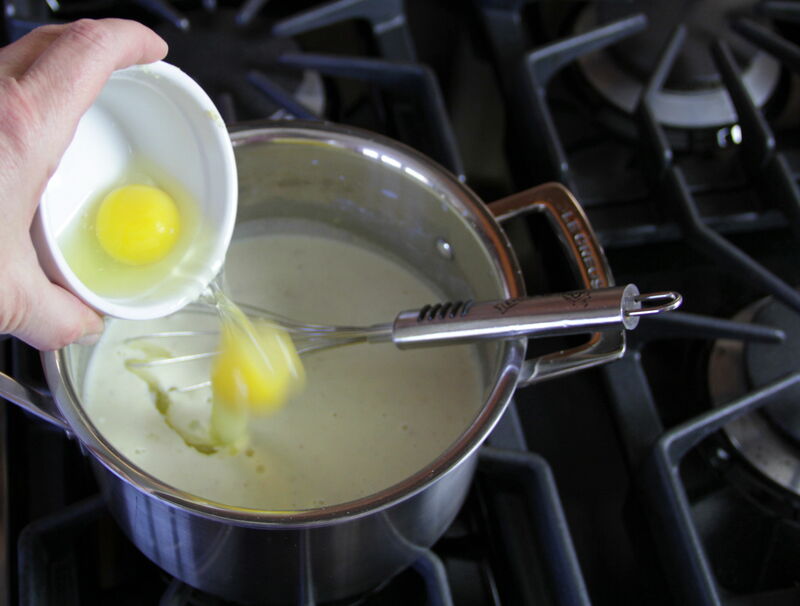 3 pints scalded milk to one pint meal salted; cool, add 2 eggs, 4 ounces butter, sugar or molasses and spice q. f. it will require two and half hours baking. 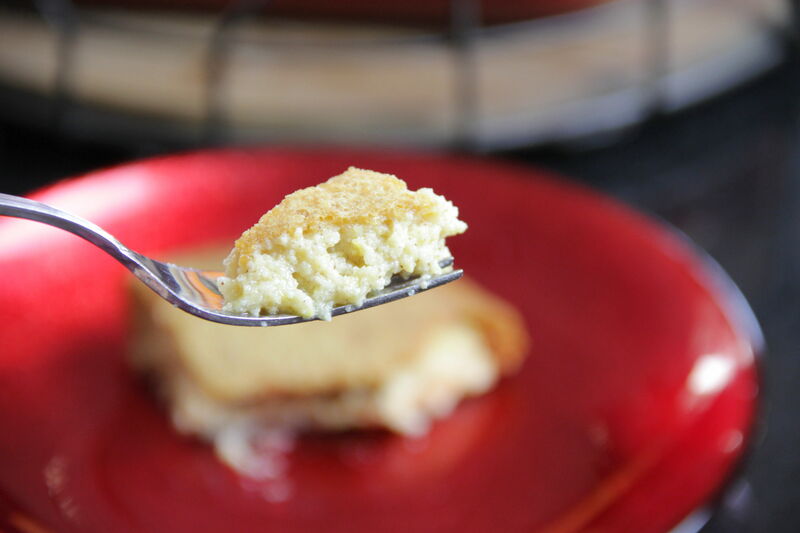 Typically fuzzy food history opines that this dish was based on traditional English pudding, which is either baked or boiled, sweet or savory, and usually bread-like and custardy. Fine flour was not so easy to come by in the New World, so our ever inventive forefathers replaced it with “Indian” maize, or cornmeal, obtained from Native Americans. Sweetened simply, usually with molasses, this new “pudding” must have been a rare treat back in the day. Rumor has it that colonists contributed this dish to some of our earliest Thanksgiving celebrations with Native Americans. 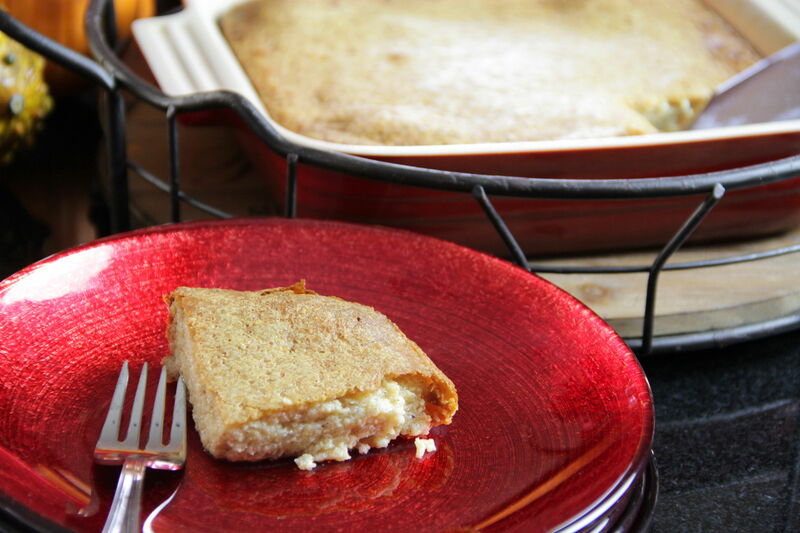 I baked my Indian pudding slowly at a low temperature, and found it to be an inviting blend of custard, corn bread, and pudding. A subtle treat, and an old-fashioned and familiar breakfast in bed. Preheat oven to 325°, and spray an 8×8-inch pan with cooking spray. Scald milk by heating in a heavy saucepan over medium heat, without stirring, until tiny ripples begin to form on the surface. Add butter and remove from heat. 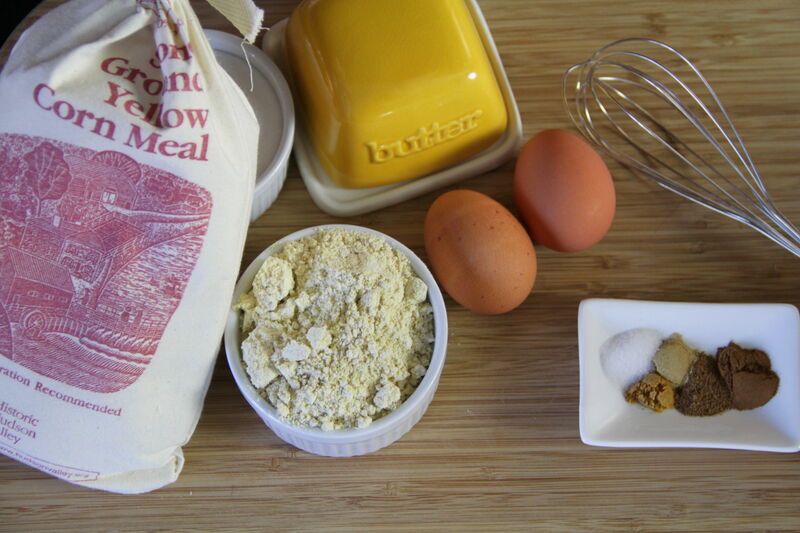 When butter is melted, slowly add corn meal, stirring rapidly to ensure no lumps form. Allow to cool for about 10 minutes. Stir eggs into corn meal mixture. Add sugar, maple syrup, salt, cinnamon, ginger, mace and nutmeg and stir until smooth. 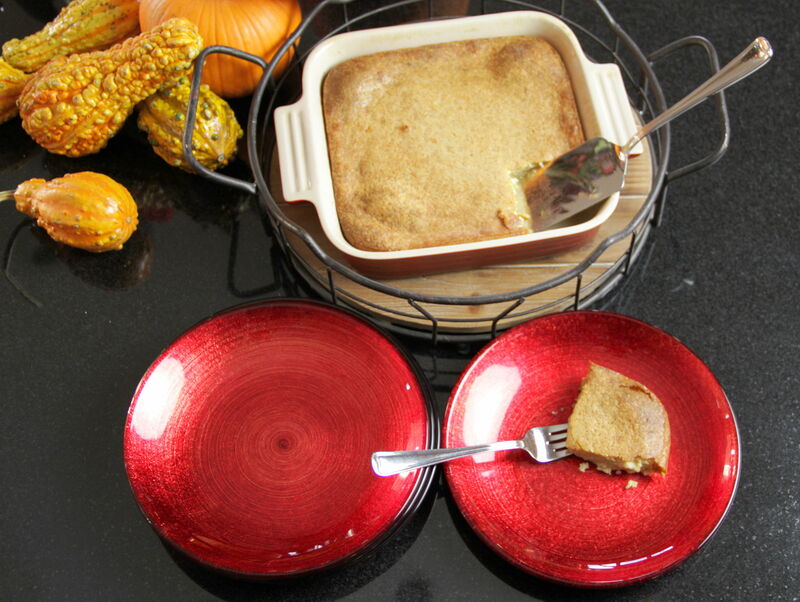 Pour batter into prepared pan and bake for 2 to 2 ½ hours until pudding is set and a toothpick in center comes out clean. Maybe it’s the darkening of the days that draws me towards darker reading. Maybe I’m just beginning to discover Holly Black who is, by and large, fairly dark in content. Black, who is probably best known for co-authoring The Spiderwick Chronicles, has aimed this at an older audience. This is a grown-up or teenage bedtime story, to be sure. But a very good read. This is a vampire book. If you aren’t into vampires, then this book would probably annoy you. It’s also a love story, of sorts. An action/adventure story. A revenge story. I like it because it’s not like other vampire stories. In this story a whole unique culture has popped up due to the unchecked spread of vampirism. This new cultures is centered around Coldtowns. When you are bitten, you turn Cold. After which, you will probably become a vampire. If you are, you are sent to live in the closest Coldtown. Not surprisingly, there are a lot of humans who are obsessed with vampires and dream of becoming one. 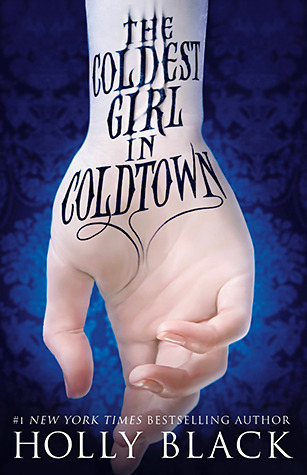 These people go to Coldtown, which is a one-way ticket, in the hopes of becoming vampires. Tana doesn’t want to be a vampire but she may be infected. Her ex is definitely infected. And the guy in the trunk, tied in chains is a vampire. So, it looks like they’re off to Coldtown! Holly Black writes in an engaging and entertaining manner. It’s at times a little gory, but not so bad as to make it unbearable. Good read for Goth teens or ex-goth adults. A weekend getaway, wherever it may be, can be just what you need to rejuvenate your mind and body. Going somewhere new does wonders for the spirit. New sights, new foods, new people, and a break from the mundane are all selling points in my book. Don’t take my word for it though; there have been a number of studies that all show that people who go on vacations live healthier and happier lives. Vacationers are more resilient to stress, and are more productive at work. Sound like something you could benefit from? It does to me. A couple weekends ago I was fortunate enough to partake in a weekend trip to Napa Valley, and I definitely feel like my life is a little better for having done so. 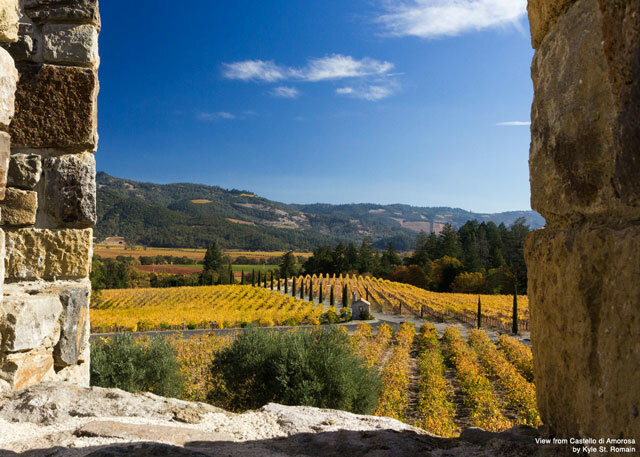 For wine lovers, a trip to Napa is somewhat of a pilgrimage. Nowhere else in the world can you find such a concentration of vineyards. While I definitely have a lot to learn about wine (and the more I learn, the more I realize I don’t know), driving along Highway 29 is truly awe-inspiring. 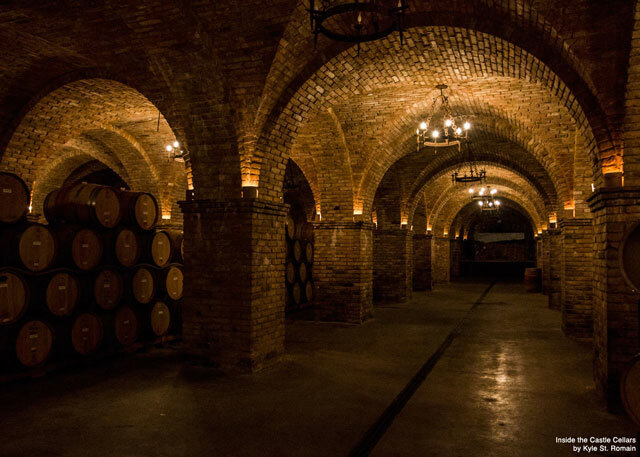 You’re sure to pass by wineries that you’re familiar with, or have at least heard of. It’s very cool to see where so many grapes are born, raised, and transformed into wines that are enjoyed throughout the world. Even if you are not very interested in wine, the beauty of Napa is that is has something to offer just about everyone. The area is home to some of the most renowned restaurants, luxurious spas, and wide open spaces — which is a luxury in itself for those of us looking to get away from the congestion of city life. I don’t know what it is, but I always sleep better on vacation. Usually exhausted from a day of adventure, I wake up looking forward to everything a new day offers. Good sleep also seems to follow me home, which is probably a symptom of recovering from all the excitement. With the end of 2013 quickly coming to a close, don’t let your vacation days go to waste this year. Instead, use them to go somewhere new to recharge your batteries and get a fresh perspective. You’re sure to feel better for it.